You are at:Home»Schools»School News»July 2018 Circuit: Swimming Gala, Street Party, and More! July 2018 Circuit: Swimming Gala, Street Party, and More! Harrow Beijing Year 1 and Year 2 students competed in the annual Key Stage 1 House Swimming Gala on May 9. The competition itself was a fantastic event to celebrate the amazing progress that the youngest swimmers have made. 3e International School raised valuable funds for Roundabout at the annual 3e Charity Community Day on May 12. Families spent an enjoyable morning shopping for bargain toys, books, and other treasures, while children were entertained with various arts, crafts, and other activities. To celebrate the wedding of HRH Prince Harry and Meghan Markle, The British School of Beijing (BSB) Sanlitun held a Royal Wedding Street Party on May 19. The event kicked off with a bake-off, a choir performance, and a traditional British tea party. The International School of Beijing (ISB) held its annual Spring Fair on May 19, drawing over 5,000 people from the Beijing community to a day of family fun in the sun! Congratulations, DCB Class of 2018 Graduates! Dulwich College Beijing honored its 95 graduates with a beautiful graduation ceremony on May 21. Beijing World Youth Academy (BWYA)’s annual May Fair took place on May 26 with the entire BWYA community coming together at the Wangjing campus for a day of fun. 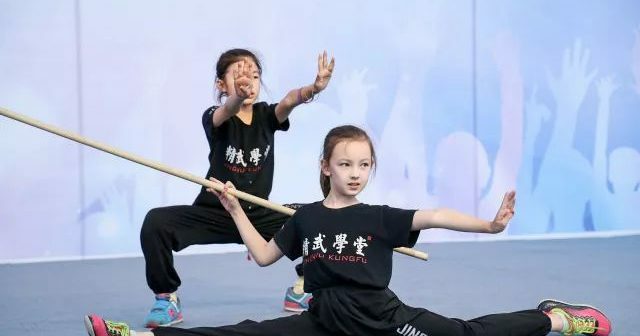 This year’s theme was traveling forwards in time and fundraising activities were split between The Chunhui Children Foundation and Educating Girls Of Rural China. On May 29, Grade 12 students walked across the Canadian International School of Beijing (CISB) stage to accept their high school diplomas as they closed the door on one chapter of their life and opened the door to the next. The graduates of 2018 have been accepted into 80 colleges and universities worldwide. As part of their ongoing outreach programme with local schools, Yew Chung International School (YCIS) Beijing welcomed 40 teachers from the Beijing Institute of Education to their campus in May. More than 2,500 parents and friends from the community came to The British School of Beijing (BSB) Shunyi for some summer fun! There were plenty of fun games, food and drinks, shopping and amazing students’ musical performances. On June 8, Beijing No.55 High School International Students Section held a graduation ceremony for Grade 9, and Grade 12 students. Leaders, guests, and parents gathered together to witness this joyful and festive celebration. The Western Academy of Beijing (WAB) community congratulated their Class of 2018 graduates at the historic and symbolic Confucius Temple. The 120 students will be heading off to universities around the world, specialized programs, and further adventures. Beijing City International School (BCIS) celebrated their version of the Summer Olympics as an annual tradition of fun and games at their Early Childhood Center. Students had an opportunity to spend a sunny day outdoors running around and spreading smiles to every person in the vicinity! Three fourth graders of Daystar Academy spearheaded “Daystar’s Got Talent,” the student body’s way of raising money to help victims of natural disasters. After three months and 60 audition videos, thirteen acts took the stage, including singing, K-pop dancing, a magic show, a kung fu act and a Rubik’s Cube challenge. Grade 3 students at House of Knowledge Schools and Kindergartens (HoK) recently completed a popular topic as part of their World Studies class. Over the course of approximately eight weeks, students explored the exciting historical world of dinosaurs! Preschoolers from Eduwings Kindergarten slept over on a farm. They packed their own luggage, set up their tents with the help of their teachers, and used firewood they collected to make a bonfire. In the evening, they roasted marshmallows and sausages and they slept in their tents.